Coming to Japan to work, my first placement was in Nishinomiya, in Hyogo prefecture. 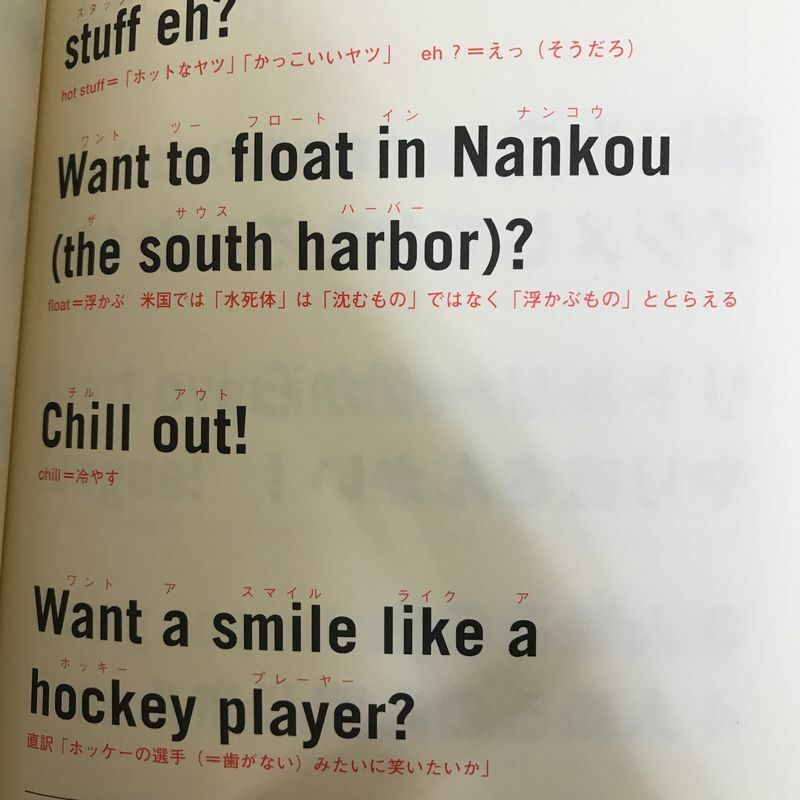 It's a mid-sized town almost directly between Osaka and Kobe. There are some local attractions, but it's most famous because it's where Koshien Stadium is located. It's the home of the Hanshin Tigers. My first placement put me in two schools less than 10 minutes from Koshien, so I passed by the stadium pretty much every day. I became a huge Tigers fan, and even though I'm no longer in Kansai, I still root for the Tigers. Being so close to Tokyo, a lot of my coworkers are Giants fans. (Some are Yokohama Baystars fans, but let's be honest and say that the Baystars aren't going home with any championships.) 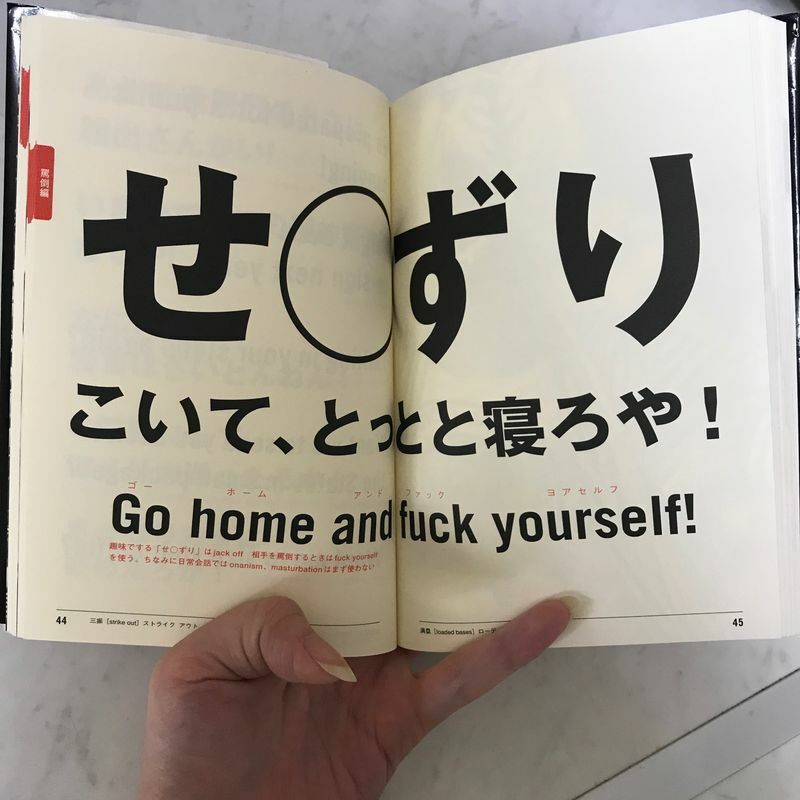 The Tigers and Giants rivalry is pretty famous in Japan, and my Giants-loving coworkers often tease me about being a Tigers fan. During baseball season, if the Giants win a game against the Tigers, they would come to my desk and casually ask if I watched the game last night. At work one day, I found that one of my coworkers had left a present for me on my desk. 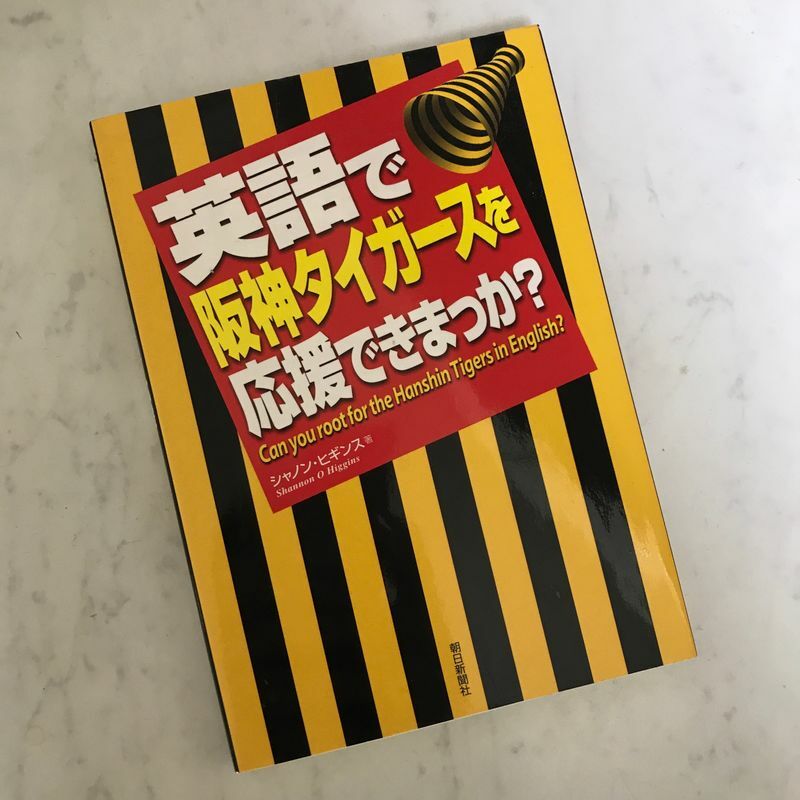 It was a book aimed at Japanese-speaking Tigers fans: "Can you root for the Hanshin Tigers in English?" 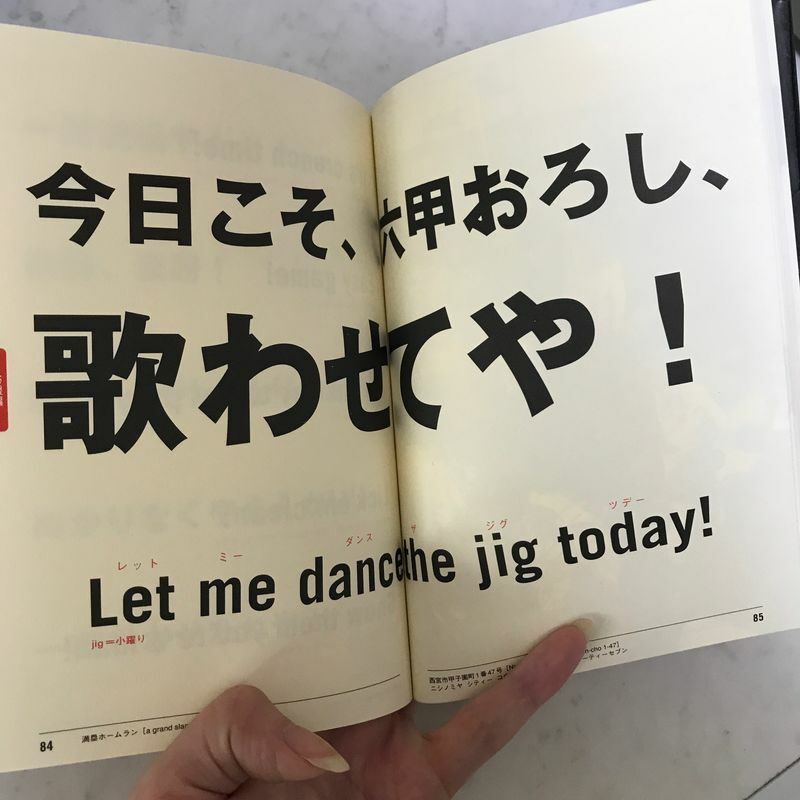 It's an older book, but new it could be purchased for 800 yen. I think it's worth every yenny of that, and you'll see why. 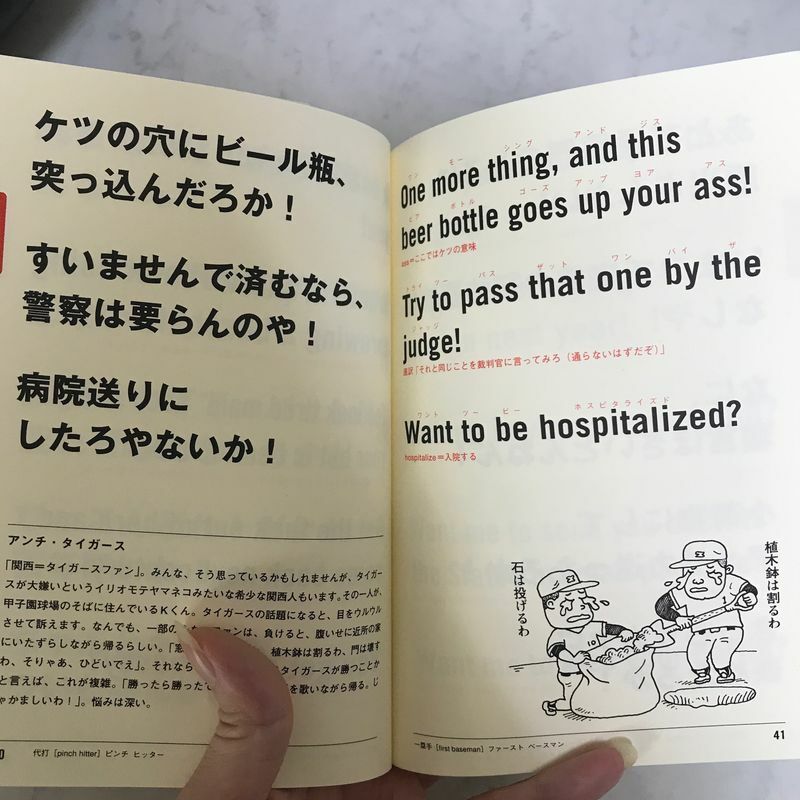 The book is divided into different parts, depending on what kind of "rooting" you want to do. 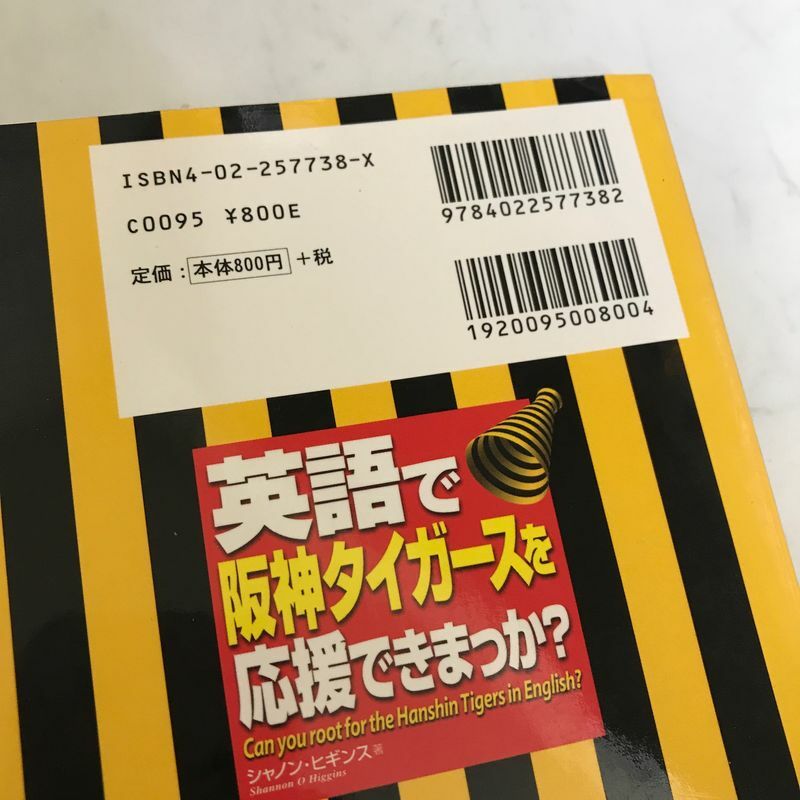 Though it looks innocent enough from the title, opening it up and reading some of the entries, it should be titled, "Can you curse like a Hanshin Tigers fan in English?" 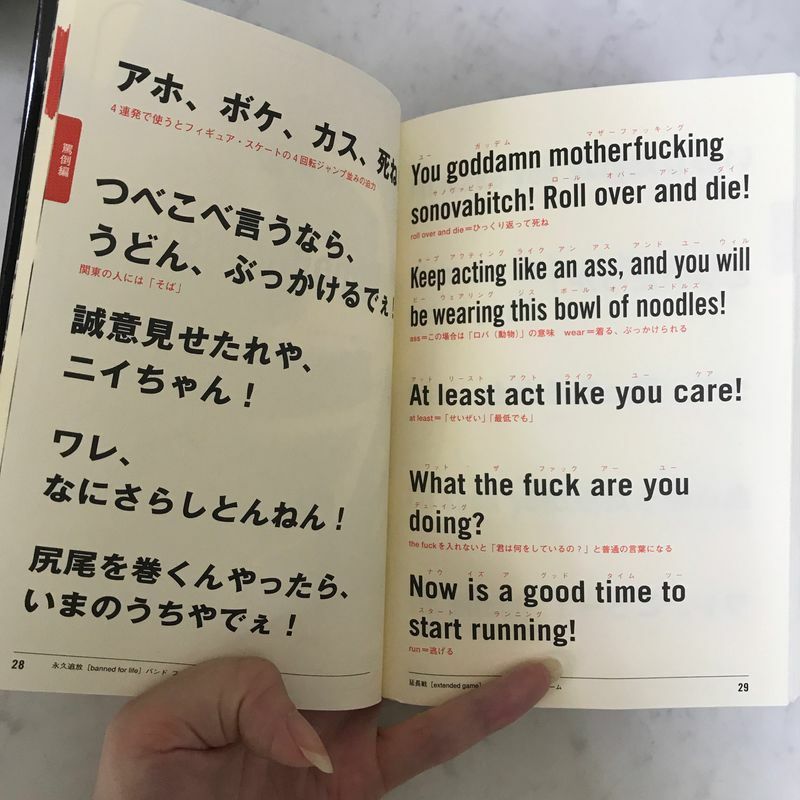 Can you imagine an angry Tigers fan yelling these things out in katakana-English? I don't think they'd come across as insulting as they'd hope. 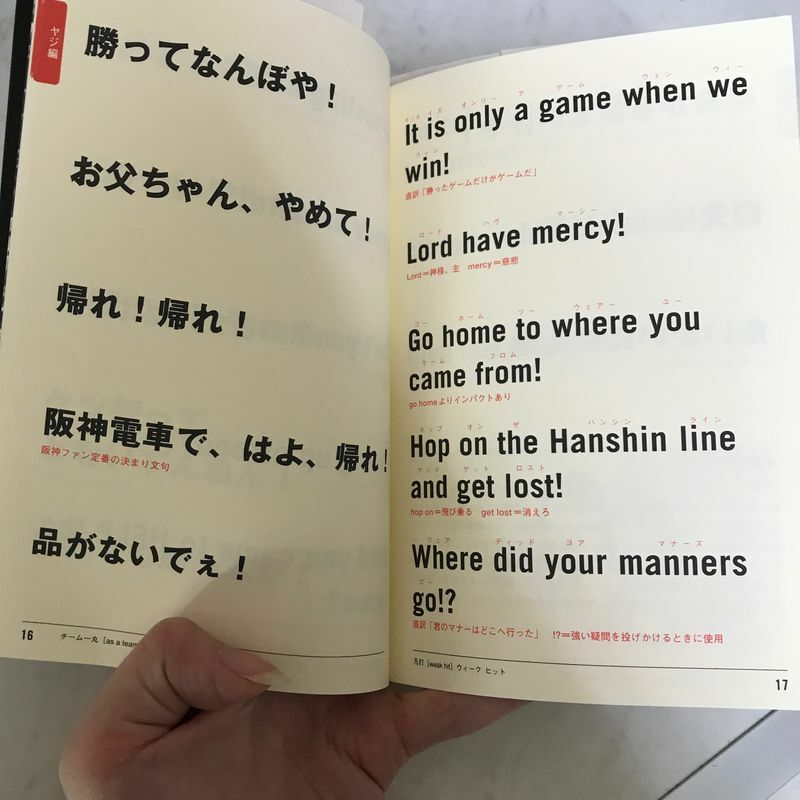 What was your favorite phrase from this book?